Real-time in vivo imaging of cell migration and behavior has advanced our understanding of physiological processes in situ, especially in the field of immunology. We carried out the transplantation of a mixed population of blood cells from adult zebrafish (Danio rerio) to 2 day old embryos. 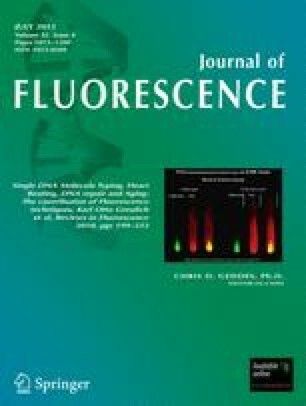 The blood cells were treated ex vivo with Function-Spacer-Lipid constructs (FSL) incorporating either fluorescein or Atto488 fluorophores (FSL-FLRO4-I or -II). Excellent labeling efficiency was demonstrated by epifluorescence microscopy and FACScan analysis. Real-time video imaging of the recipient fish showed that the functionality of these cells was retained and not affected by the labeling. The usefulness of FSL-FLRO4-I as a contrast agent in microangiography was explored. Overall, we found both FSL-FLRO4-I and-II promising labeling dyes for real-time in vivo imaging in zebrafish. Professor Nicolai Bovin’s team from the Shemyakin Institute of Bioorganic Chemistry, Russian Academy of Sciences, is gratefully acknowledged for preparing FSL-FLRO4-II.